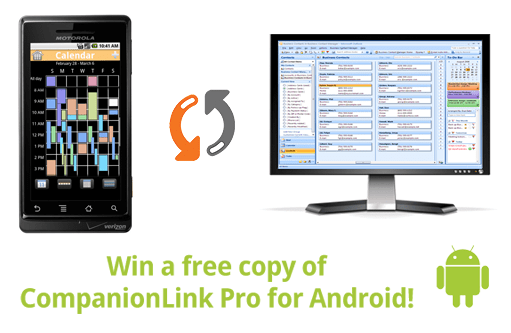 Win a free copy of CompanionLink! This entry was posted in Announcements, CompanionLink Products, News and tagged android, android sync, companionlink, contest, free by Andy Sheragy. Bookmark the permalink.